That's exactly how Nat Panzarino and Fer Wicker felt. Both knew the struggles of greyhounds, and wanted to spread the message they lived out by volunteering for local greyhound rescue. 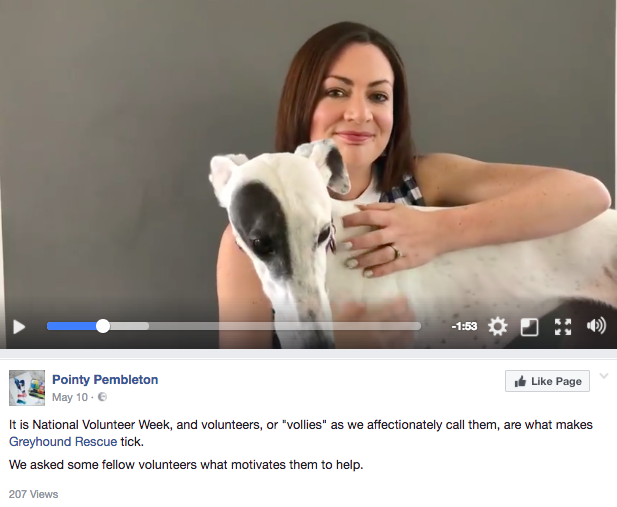 To do so, they decided to collaborate on a children's book called Pointy Pembleton—written by Nat and illustrated by Fer—raising awareness about greyhounds in an appealing way. 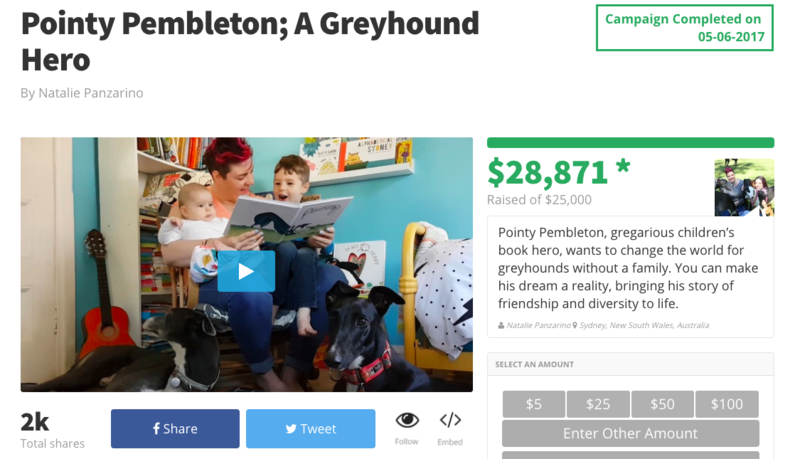 They'd also donate a portion of the book's sales to greyhound rescue. Throughout the entire campaign, Nat and Fer used videos to inform and rally supporters. The videos were vital to the campaign's success, and really made it stand apart and develop relationships with readers. They kept the videos positive and encouraging. Instead of including startling images of abused dogs, they chose to tell the story through uplifting stories of rescued greyhounds and Fer's illustrations from the book. In the videos, they specifically asked people to share the project with friends to help the dogs. They provided plenty of background information. To Nat and Fer's surprise, they learned that many people didn't know the background of abandoned greyhounds. The campaign explained everything in simple, concise language. "You don't want to leave people with questions at the end," Nat says, "so you want to try and answer all of their questions right there." They made the videos personal and informal. While the main promotional videos have a high production value, most of the videos Nat and Fer created for the campaign were casual, smartphone-filmed snippets of them and their dogs. Nat calls the videos she posted on Facebook groups "overly cheesy," and some of the more popular video showed them working behind the scenes. They chose channels that already worked for them. Nat knew that Twitter wasn't a strength for her and wasn't as popular in Australia, so she focused just on Facebook and Instagram. A month before the launch, Nat and Fer created a Facebook page for Pointy Pembleton, and focused most of the promotion there. They posted regularly. They posted a minimum of one time per day on Facebook and Instagram. But these weren't all just requests for support—they gave behind-the-scenes detail and entertained followers with humorous and interesting videos. They reached out to influencers. 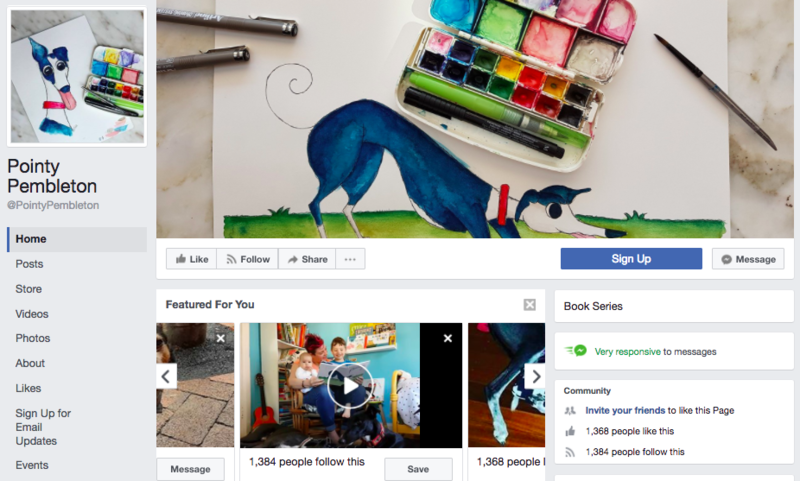 Every day, Nat spent about an hour messaging and posting to Facebook groups and pages to related organisations in the dog rescue and children's book spaces. Only about one out of every 100 influencers responded, but those that did shared it themselves or encouraged her to promote to their followers. Enlisted volunteers to help. They already had 100 volunteer connections, and weren't afraid to leverage them to join the cause. These volunteers helped spread the word and helped with some of the manual labor required to get the campaign going. They used their follower's content in their campaign. Nat created a guide for other to create their own videos for the campaign, and included those videos in the promotion. This built up a community and encouraged others to participate. They didn't underestimate the funding of their existing supporters. Instead of expecting funding to come exclusively from others new to the campaign, Nat and Fer reached out to those who had closer ties to the campaign in the same way as those new to it—and it paid off! The biggest donor was an existing volunteer, and the second-biggest donor was Nat's father-in-law. Along the way, Nat and Fer also learned a number of strategies they weren't expecting. You don't need experience to succeed at crowdfunding. Despite being brand-new to the crowdfunding space, Nat carefully studied the Chuffed.org campaign strategy videos. "I probably watched them like a half a dozen times," Nat says. Promote to influencers early. Most of the bloggers and influencers Nat emailed didn't get back to her for 2-3 weeks. "If I had to do it all over again," Nat says, "I should have started attacking sooner and got them kind of on board before we wanted to launch."